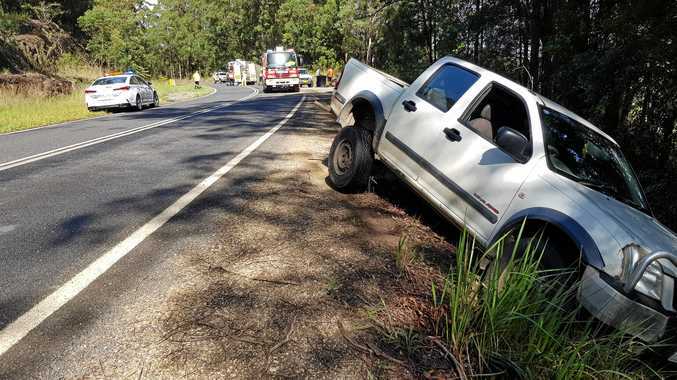 FOUR people have received non-threatening injuries in a motorcycle crash on Lake Moogerah Rd at Charlwood, the Queensland Ambulance Service has said. All four people were taken to Ipswich Hospital on Monday morning after ambulance officers were called just after 9.30am. A QAS spokesman said their injuries included abrasion to the nose, a suspected fractured rib, dislocated shoulder and another shoulder injury.